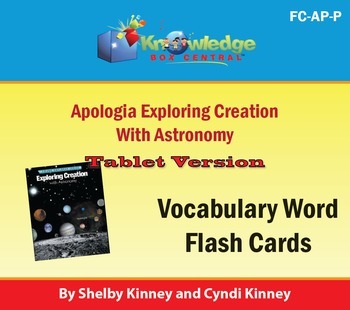 Use these 290 vocabulary flash cards with the Apologia Science book, Exploring Creation with Astronomy. All words in bold are included. This ebook is specifically designed to be tablet friendly, with each word and answer a separate page.